Partnership is not simply giving of your finances; it is more. When you become a Miracle Worker with New Wine International, you become an integral member of our outreach ministry team. In Matthew 28:19-20, Jesus issued the Great Commission and instructed us to "Go into all the world..." While you may never physically travel into the world to share the Gospel with those of other nationalities, you can still fulfill this mandate through your giving. Partnership with this international ministry positions you to have global impact without ever leaving your hometown. When you give to New Wine International (NWI) through your prayer and financial support, you go with us wherever we are. When we are in Europe, you are there; when we are in the Arctic regions, you are there; when we are in Asia, you are there. Wherever we travel with the message of Jesus Christ - you are there, sharing in the glory with us! 2. Pray faithfully for Joshua & Janet Angela Mills and the NWI Ministry Team as they carry the message of Jesus Christ around the world. 3. Pray for those who will receive ministry through NWI ministry events and resources. Partnership is not only what you can do to help us, but also what we can do to help you. 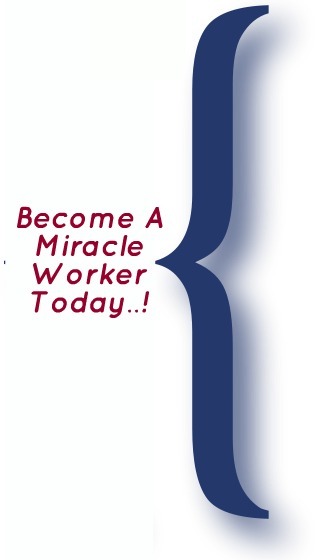 Becoming a Miracle Worker with NWI provides a covenant agreement between you and us. By being a Miracle Worker, you connect with the anointing and glory on this ministry. You will receive our continued prayer for you and your family and you will be linked with the unique anointing that is on this ministry for signs and wonders. In addition, we offer special benefits and "perks" for each of our special partners. There are currently several ways to partner with NWI. You decide the membership level according to what the Lord has placed in your heart to do. All partnership donations will receive a tax-deductible year end receipt in Canada and USA. New Wine International is a recognized Canadian not-for-profit organization and U.S. 501(c)3 non-profit religious corporation.